A Mermaid 24 is a Dolphin 24 built in wood, not fiberglass. 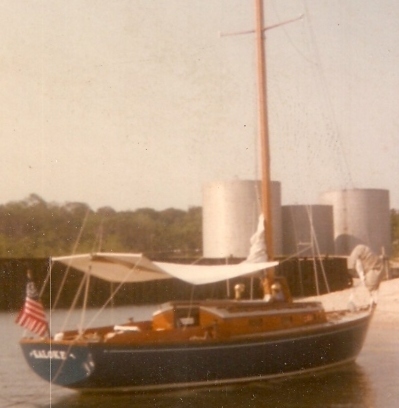 Below is Kerry Lange's Mermaid 24 Kaloke, (Click here to go to her) in a 1973 photo pulled up at Mattituck Inlet on the north side of Long Island Sound. It is built to S&S master design #1497, the same as the fiberglass Dolphin, but wood. The following specification is for a 1497-S design for the Midget Ocean Racing Class was issued on December 10, 1959. The dimensions given are the same as a Dolphin. 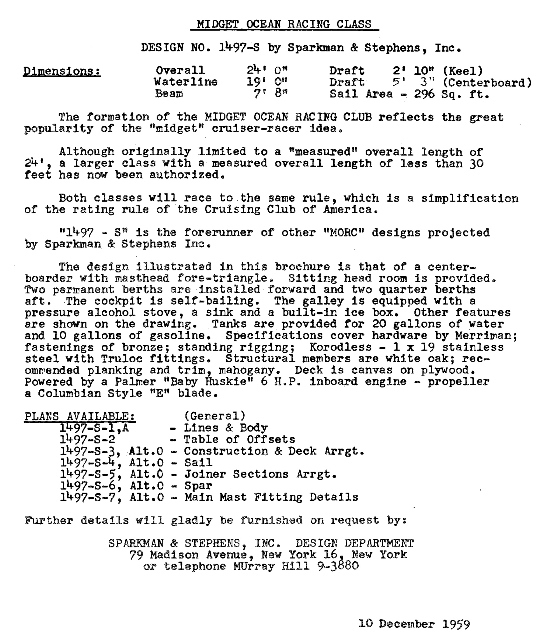 Toward the end of the 4th paragraph you will see "Structural members are white oak; recommended planking and trim, mahogany..."
Interestingly, the Mermaid 24 drawings were used by some Dolphin 24 buyers who bought their fiberglass boats as unfinished boats, or by builders who bought "Kits" from O'Day and finished the interiors using the Mermaid 24 plans. 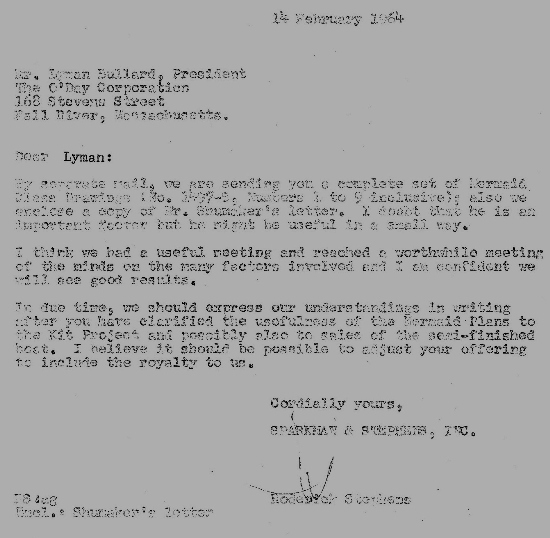 The following letter (poor copy, sorry) dated 14 February 1964 from Rod Stephens to Lyman Bullard, President of O'Day is interesting from several perspectives. The "Mr Shumaker" referenced was S&S's first Mermaid 24 client on the west coast He eventually purchased at least 4 Dolphin Kits from O'Day, and later became the founder of Yankee Yachts in 1966/1967! The referenced Shumaker letter was lost. We need more information on the Mermaid 24 - ie., we have no idea how many were built. Also, how did design 1497-1 become 1497-S? .